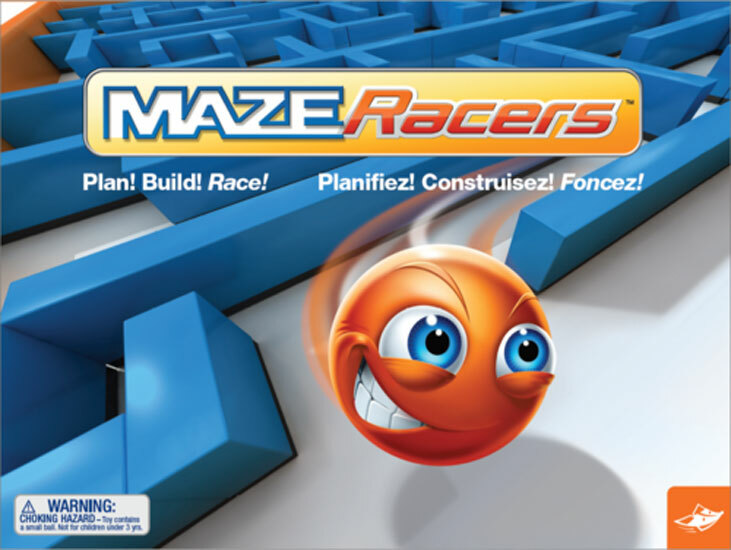 We review Maze Racers, the highly accessible maze building game from Foxmind Games. 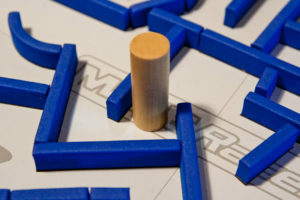 In Maze Racers, players are trying to quickly and creatively build out a maze that their opponent must try and solve. I love to build things. It doesn’t matter if I’m playing a tile laying game that has me constructing a city, or a dexterity game where I’m stacking things. Building allows me to tap into that creative part of my brain that loves to get used. Today, we are going to look at a unique game called Maze Racers. The games premise is simple, build a maze, swap, try and complete it the quickest. It seems straight forward enough. So let’s see if it delivers on everything it promises. Maze Racers is a building and dexterity game for 2 players that takes about 15 minutes to play. 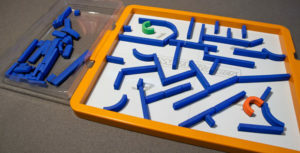 A spacer stick allows you to check if your maze is actually possible to complete. Frankly, this section is almost unnecessary for Maze Racers. You can probably figure out what you need to do by looking at the back of the box, which is one reason why Maze Racers works so well. But I’m getting ahead of myself. A starting block is placed in one agreed upon quadrant of the board, while the goal is placed in another. 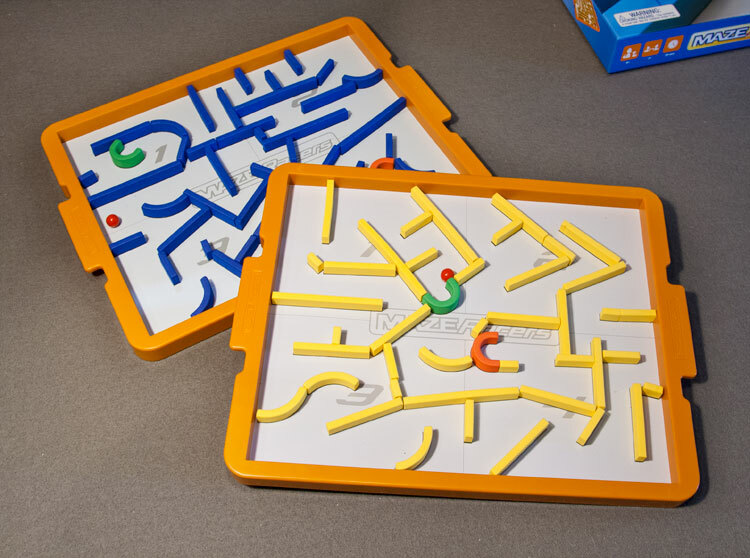 Say go and each player tries to build a maze as quickly and creatively as possible. The walls are rigid foam with a magnet on the bottom. As everyone should be familiar with what a maze is, teaching the game takes seconds. The only rule is that the maze has to be possible to complete. A spacer stick is included for checking your work. Once one player is finished, the other player has 1 minute to finish their maze. Then players swap mazes and you have to move a ball from the start, to the goal, and back to the start again. First player to do that wins. Build a maze, swap with your opponent, try and beat their maze first. It’s just that easy. Maze Racers is one of those games that you can just plop down in front of someone and they will get it. Give them about 10 seconds of explanation (if even) and you’ll be ready to go. I definitely think this is a game that can appeal to just about anyone and I’d chiefly attribute that to the building aspect. If players had to build out a preset maze and see who could solve it the fastest, no one would give Maze Racers a second glance. What makes Maze Racers so great is that it taps into that creative part in all of us that loves to construct things. It’s the reason LEGOs still sell so well after decades. People love to watch their creations come to life. There are plenty of wall pieces included in the game that players should not worry about shortages. And that’s one of the reasons I can play a game of Maze Racers over and over. Once I finish a maze, I immediately want to tear it down and try to build a bigger and better one. The building aspect is arguably (at least for me) more fun than actually trying to solve a maze. In fact, half the time I’d rather watch my opponents try and get through my maze than try and solve theirs. The other benefit from the blank slate you start with is that your only limit is your imagination…and the components (of which there are plenty). They also work really well in the context of the game. The foam pieces stick to the board perfectly, and are rigid enough to not cause any issues. To be honest, there isn’t much more to say about Maze Racers. It’s not an overly complex game, and it delivers perfectly on what it promises. I actually feel a bit weird even giving it a number score, because Maze Racers honestly feels more like an activity than a game. Not that that’s a bad thing. While it’s probably never going to be much more than a filler game, Maze Racers is still a ton of fun, and I’ve never played just one game. No matter who wins the first game, it’s always followed up with a “let’s play that again”. If that’s not high praise for a game, then I don’t know what is. 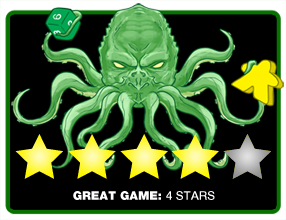 Final Score: 4 Stars – A creative and entertaining game that works well for gamers and families of all ages.